In need of scheduled maintenance near Cotati? Give RPM Automotive Services a call. There are many forms of scheduled maintenance to be completed. It varies by year, make and model. Some make’s have their own set system for scheduled car maintenance service, such as Acura. For Acura’s services, you can easily view them online on acura.com. For other make’s, such as Jeep, it takes a bit more digging online or pulling out your owner’s manual from your glove box. Not to worry, we can help with both. Say, your Acura “maintenance minder A” light comes on. Just give us a call and schedule an appointment to have your Acura “A” service completed. 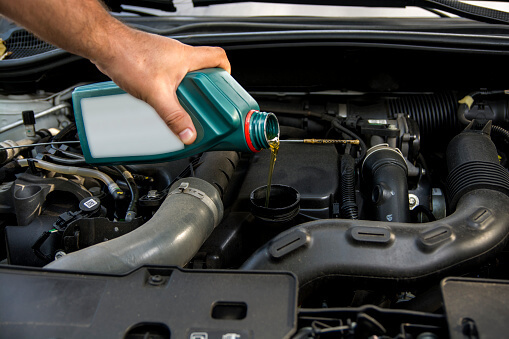 For all makes and models, when you bring it in for your oil change we do a thorough inspection to ensure your vehicle is up to date on its maintenance. If it is not, we will provide you with a list of repairs or services to complete in order by “due as soon as possible”, followed by services that can wait if needed. We are always happy to help with your scheduled maintenance near Cotati. Scheduled car maintenance service is crucial to keeping your vehicle on the road for as long as possible without problems. When you’re in need of professional scheduled maintenance near Cotati, give RPM Automotive Services a call for your car maintenance service. We also offer convenient appointment scheduling online and are able to provide our customers with a shuttle to or from work and home. Auto repair is stress free with RPM Automotive.